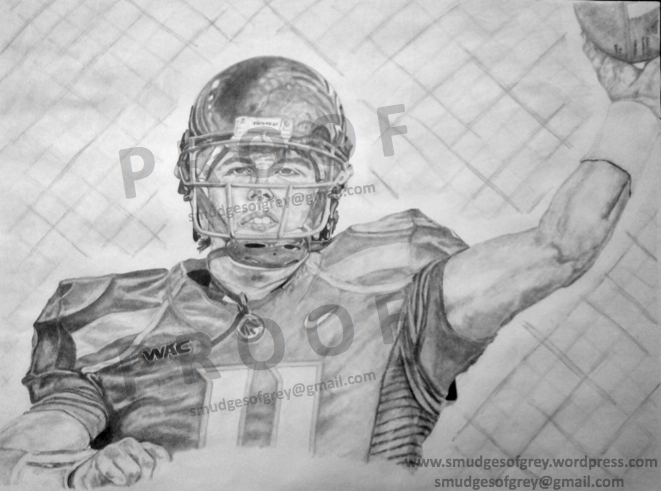 Prints of Kellen Moore, one of College Football’s most prolific passers are available for $35. Buy your print now or contact smudgesofgrey@gmail.com. This print is roughly 10.75×13.75 in. and fits a 16×20 frame with mat.